Net Entertainment will be releasing Arcane: Reel Chaos on the 16th of May (2019) – find out what to expect with our preview and the official YouTube trailer. 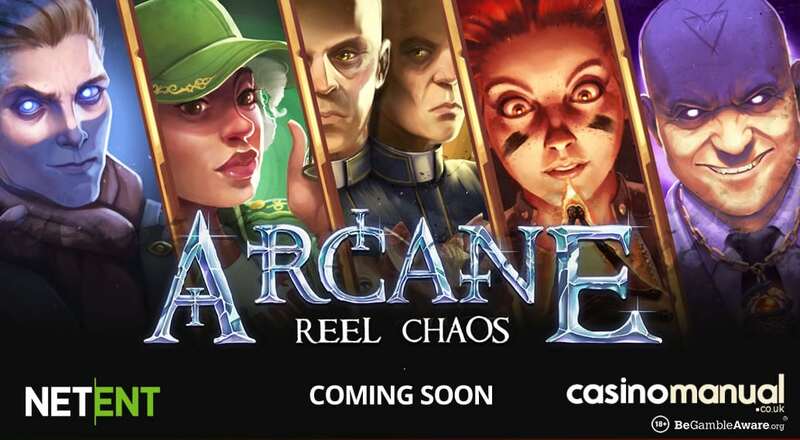 With Dead or Alive II and Narcos coming soon, NetEnt will be releasing Arcane: Reel Chaos next month – this 5 reel, 20 payline video slot will see you join 4 superheroes protect their dystopian futuristic city from the evil villain Deep Pockets. It will be playable on all devices from only 20p a spin. Graphically superb, you will be taken to a ruined church – it’s dark and excellent! With heroes Flare, Chronos, Zero.x and Psyop on the reels, Deep Pockets will be the most valuable. Each hero can randomly appear in the base game to give you a bonus feature. Psyop will give you wild reels whilst Zero.x will give you up to 5 random wilds. Flare will apply a multiplier up to 4x and Chronos will give you re-spins until you win – the multiplier will increase if you don’t get a winner up to 10x for big potential payouts. Prior to Arcane: Reel Chaos’ release, NetEnt will be releasing the hugely anticipated Dead or Alive II on the 24th of April (2019). Until then, you can play some of their other great video slots like the original Dead or Alive, Gonzo’s Quest, Warlords: Crystals of Power, Vikings, Jumanji, Archangels: Salvation and Planet of the Apes amongst others. You can get up to 200 exclusive free spins on any NetEnt video slot when you play at NetBet Casino. Register and make a deposit using code EXCLUSIVE1 to get a 100% match bonus up to £200 (i.e. deposit £200, get a £200 bonus) as well as 25 NetEnt free spins. On your 2nd and 3rd deposits respectively, use codes EXCLUSIVE2 and EXCLUSIVE3 to get 75 and 100 NetEnt free spins. That’s 200 free spins in total to use on any NetEnt video slot you fancy! Oh, they also offer you games from WMS, IGT, Novomatic, Yggdrasil Gaming, Play ‘N Go, Microgaming, Playtech and many others.